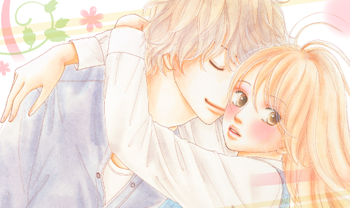 Today, we have a new release: Kyou wa Kaisha Yasumimasu chapter 2. This is a joint project with the Spanish group Dangoline no Fansub, so a big thank you to them for helping us with the cleaning! Also, another big thank you to Scarlet at MangaLator.ch for giving us permission to use her translations for this series and as always a huge thank you to all of the wonderful staff that worked hard on this chapter. Remember to visit our forum to download our releases and please respect our three day waiting period before uploading our releases to any manga host sites. Enjoy! Remember to visit our forum to download our releases and please respect our three day waiting period before uploading our releases to any manga host sites. Enjoy! While you're there, don't forget to check our our Christmas contest! >Misty Rain Scans is currently recruiting for all positions! For more info, please visit our recruitment page! Finally some scan is translating this manga! Thank you!